1 photograph : b&w ; 6.2 x 8.5 cm. 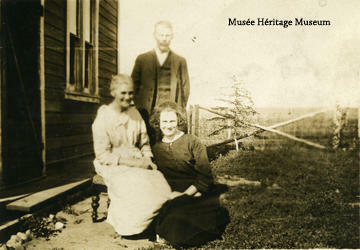 This photograph depicts Alec McDonald standing behind his wife, Sarah McDonald, who is seated. Their daughter, Jeannette McDonald, is seated at the feet of Sarah.